We were going to the boards to discover both special right triangles, using squares and equilateral triangles. We started with 4 squares. (I forgot to take square pictures). 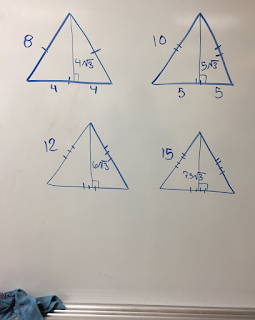 We had 4 different sizes and I asked them to find the diagonals. 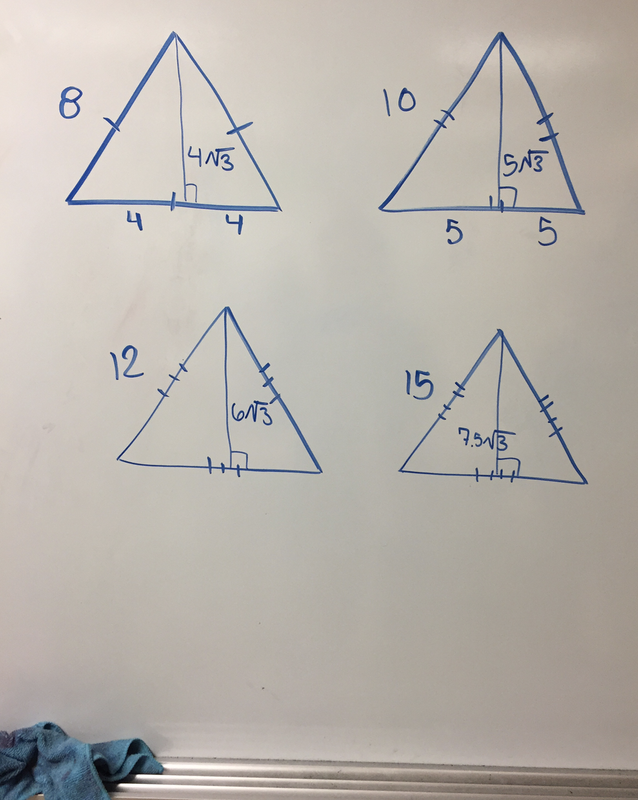 Some started the Pythagorean Theorem and then they saw the pattern! Then we drew altitudes. I asked them to label their angles and find the altitude. What did they notice? I already taught the area of a regular hexagon using equilateral triangles and the Pythagorean Theorem, so they caught on to this one pretty quickly. 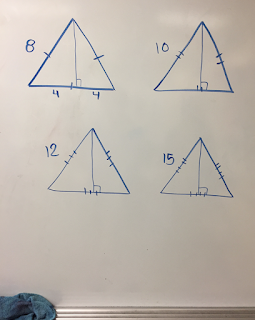 Here are the board problem: Special Right Triangle Board Problems.